The First biannual IAF Commanders' Conference of 2018 was inaugurated today by Hon'ble Raksha Mantri at Air Headquarters (Vayu Bhawan). Chief of the Air Staff, Air Chief Marshal BS Dhanoa PVSM AVSM YSM VM ADC, welcomed Hon'ble Raksha Mantri Smt Nirmala Sitharaman, Hon'ble Raksha Rajya Mantri Dr Subhash Bhamre and Defence Secretary Shri Sanjay Mitra. 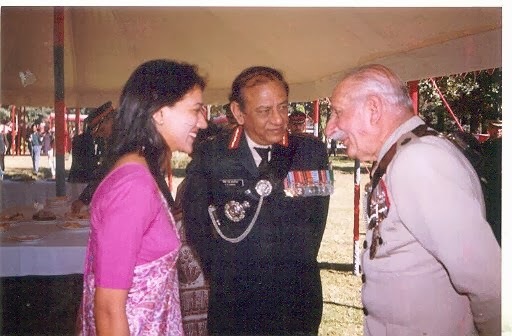 He introduced IAF Commanders to the Raksha Mantri. CAS briefed RM on the current status of the IAF and on Exercise ‘Gagan Shakti', which was conducted in April this year. CAS highlighted that the exercise was very fruitful in testing IAFs surge operations capability, logistics supply chain, rapid augmentation of personnel, inter theatre move of forces, communication network and reliability of equipment & systems. 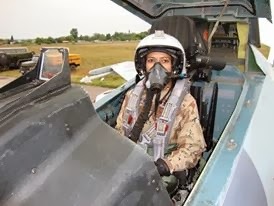 It would be pertinent to recall that Raksha Mantri had visited North Eastern Sector during the Exercise to witness Air to Ground weapon delivery by IAF fighters and helicopters, operation from ALGs, accelerated fighter operations and Garud Assault Drill. While addressing the IAF Commanders, RM praised the exemplary conduct of IAF's biggest exercise in the recent times. She complimented all personnel for sustaining round the clock operations in the most professional manner. She said that the focus of Exercise ‘Gagan Shakti' was to draw lessons for evolving the doctrinal loop which is an ongoing process. 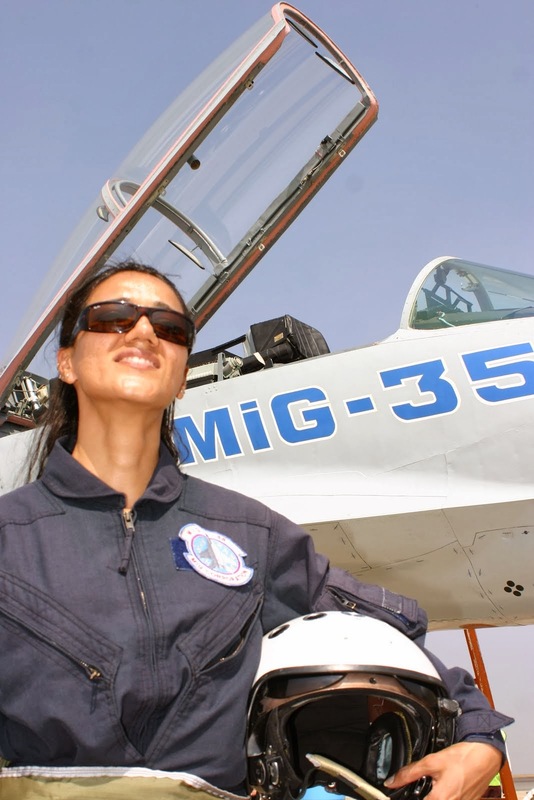 She mentioned that Exercise ‘Gagan Shakti' was a landmark exercise for IAF. She complimented the IAF for a leadership role in jointmanship which was evident during the exercise and congratulated the Army and Navy for supporting the Air Force in achieving the objectives of ‘Gagan Shakti’. While laying down her vision for contribution of the IAF towards indigenisation, she emphasised that being a tech intensive service the IAF should pioneer in laying the roadmap for absorption and production of high end aviation technology products in India and propel India’s growth in these sectors as envisaged in Government of India’s ‘Make in India’ policy in the next 15 years. The Raksha Mantri also commended the IAF for the key role played by it in nation building by way of promoting regional connectivity by rendering support towards the UDAN scheme. The IAF has opened up several of its airfields for civil aircraft operations in furtherance of the scheme. 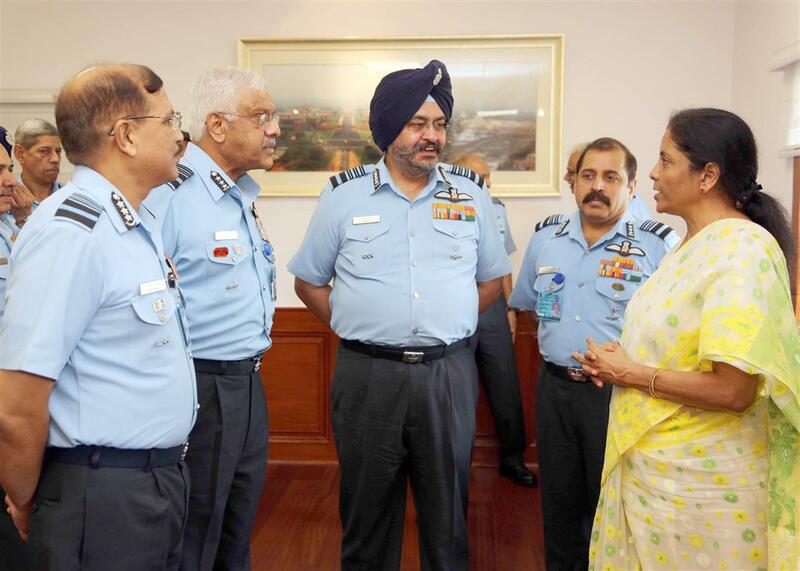 RM complemented the IAF for setting a precedence on several aspects of jointness as suggested by the Prime Minister. 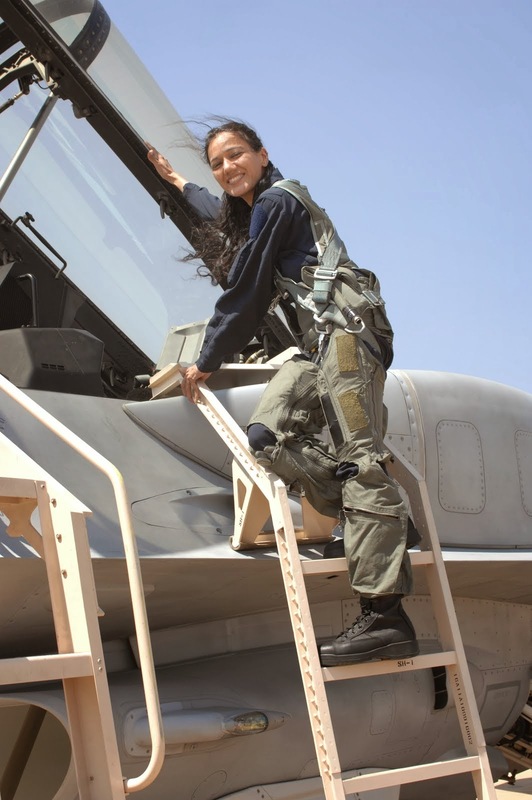 She specifically highlighted the efforts of IAF for having issued a path-breaking order empowering the CINCAN to exercise full control over the IAF officers deputed to work with him. The conference is planned for two days. 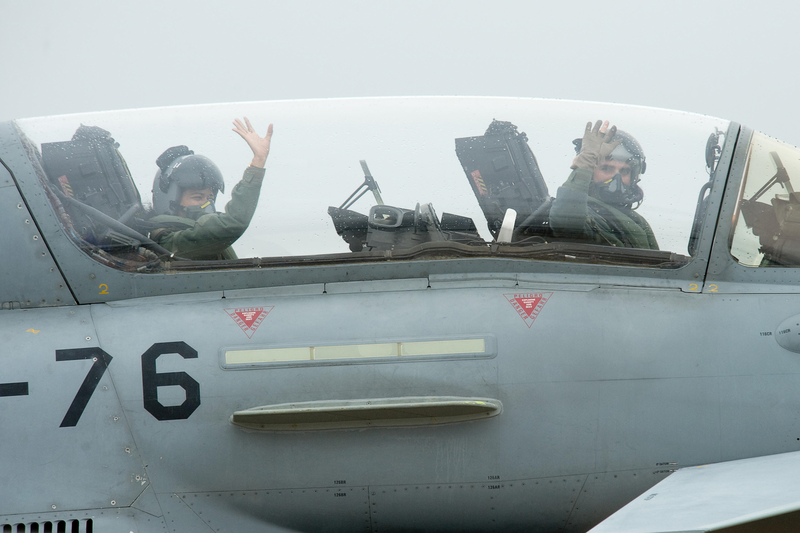 Commanders will discuss the operational, maintenance and administrative takeaways identified during the Exercise and the way ahead. 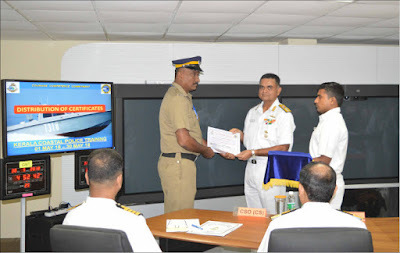 The ‘On Job Training' capsule, conducted by the Southern Naval Command for the Coastal Police of Kerala, concluded on 30 May 18, with a valedictory function conducted at the Joint Operations Centre Kochi. The Chief Guest for the function were Rear Admiral R J Nadkarni, VSM, Chief of Staff, Southern Naval Command and IG Coastal Police, Shri Vijay Sakhare. The function was also attended by the DIG Coastal Police, Shri K P Philip, as well as staff officers from the headquarters of SNC and Naval Officer in charge, Kerala. Course Completion Certificates were distributed to all the Coastal Police personnel who attended the course. 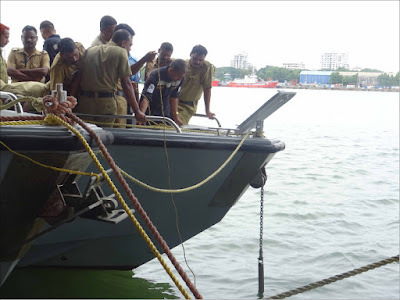 Sagar Prahari Bal (Kochi), a unit under NOIC (Kerala) was the nodal agency responsible for the conduct of the training capsule, which commenced on 30 Apr 18 and was attended by 30 Coastal Police personnel. 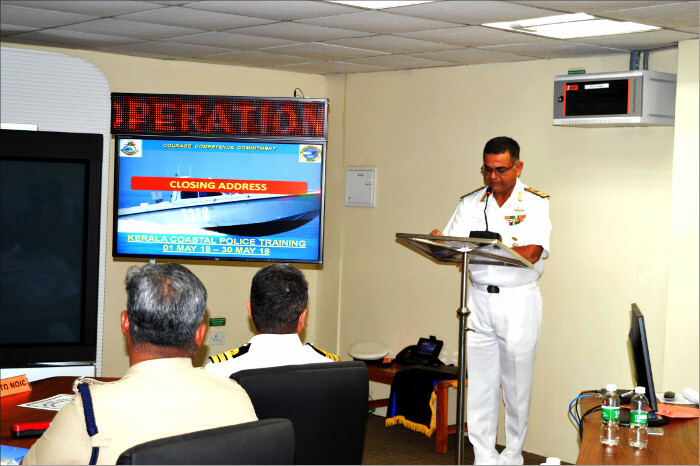 The decision to conduct Coastal Police training by the Indian Navy was taken at the Joint Coastal Security Review Meeting held on 21 Feb 18. This training initiative is the first of its kind, undertaken on a 24x7 basis, with active participation and coordination between the Indian Navy and the Coastal Police. 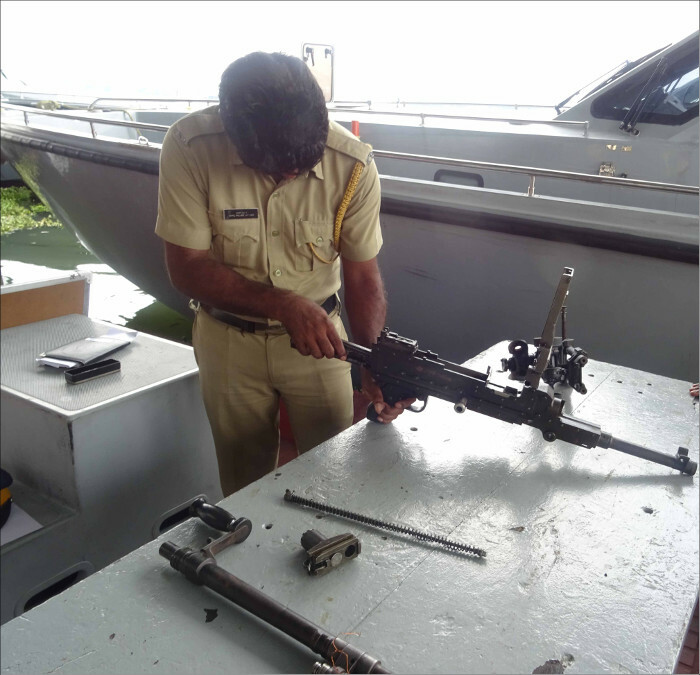 The training was aimed at familiarising the police to the marine environment so as to enhance their overall proficiency, while carrying out patrolling at sea. They were trained on survival at sea, boat handling, maintenance of Fast Interceptor Craft, weapon firing - both ashore and at sea, Boarding Exercises, fire-fighting, night patrolling at sea, inspection of fishing boats, navigational safety, Rules of Engagement, Force Protection Measures, Rescue of Life at sea as well as First Aid and CPR. 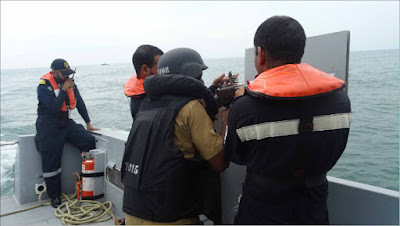 The capsule comprised both theoretical lectures as well as practical training, with greater focus given to the practical aspects of coastal security. Familiarisation sorties onboard naval ships were also conducted.The training would immensely contribute towards capacity building and in dealing with maritime threats and handling emergencies at sea. It has also provided the much needed fillip and confidence to the coastal police for patrolling at sea and strengthening the coastal security of the State. This training capsule will be continued for successive Coastal Police batches in future. A misleading news item has appeared today (31.05.2018) in Indian Express alleging kickbacks to Indian Govt. officials through Global Marketing SP Ltd. in the contract for spares for AN-32 Aircraft. It is informed that MoD or IAF has neither interacted nor signed any agreement with Global Marketing SP Ltd., nor were any such agreements witnessed. IAF has also confirmed that Global Marketing SP Ltd. has not participated in any of the meetings held towards finalization of the contract dated 26.11.2014 with STE Ukraine. Embassy of Ukraine in India had sent a request to MHA and MEA, Govt. of India dated 06.03.2018 for legal assistance in investigation of a criminal case filed against officials of Ukraine Government’s State Owned Enterprise (STE). This is as per international treaty between India and Ukraine. This request contains a list of questions to be answered. There are no allegations against any Indian Govt. official. Government of India has only been requested to render legal assistance.